Cattery Batifoleurs has been breeding bengals since 2001. 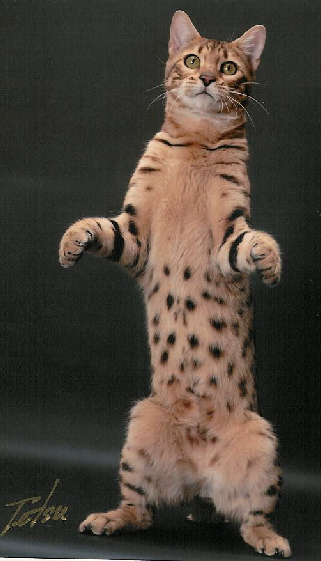 The focus of Batifoleurs had always been breeding for really wild looking bengals. On top of that we also try to breed bengals with better coat without loosing the real wild type expression. Every year Batifoleurs comes a little bit closer to this goal. We do show TICA and have had Regional Winners every season since 2001. We also breed for nice temperament. We also do everything to breed healthy bengals. We do annually test our bengals for HCM, FeLV and FIV. Also all our breeding cats are tested for PKD, PRA and PK-deficiency. Please take a look at this website and meet our cats.